Can the ego get out of the way. To Bill Ratliff, Hello Bill I was reading the Stanford news release on Professor Hilton, and I noticed a missing piece of information. In 1957 Prof. Hilton was an advisor on Latin American affairs and prepared a report on Fidel Castro showing that Castro was a Communist. I helped organize those papers and actually drove Prof . Hilton to the airport when he flew to Washington D C to deliver the report to President Eisenhower and the State Dept. The results were not what Prof Hilton expected; when I picked him up at the airport on his return. he was very distraught. I will quote him, he said, “They would hardly pay any attention to me and they called me a crack pot.” He was so un-nerved that I actually took him to a cabin off of Skyline where he spent a week re-grouping himself. You know the results, President Eisenhower authorized the arms to Castro and the rest is history for Cuba.. If you have been driving yourself crazy trying to figure out how to start writing – a book writing format is your cheap and painless solution. Here’s why. For your first book, you need to get started. Maybe you have been wanting to get this written for years, and something keeps stopping you. Everything gets in the way. There may be no one to help or encourage or even believe you can do it or should. But, you know it is something you have a passion for. So, here’s how to get it off the ground like a plane finally getting off the runway. Ok, now most of us are using a navigation system to get places. Even if you have money to pay someone to write your book, you will still need this book writing format, unless you are someone like Madonna or Prince! You can write it digitally or on your computer and get it printed in book form, but nothing will take form until you have your book writing format. What does it mean to have a book writing format? It means you have allowed all those saturated ideas of information which are hanging all over the internal caves of your mind and memory to finally drip out into some acceptable arrangement that others can learn from, enjoy or gain from your experience. But, there must be some reason which brings this mass of communication to life. It must be given to the world, even if your special world is waiting for you to splurge it out. You will need to start at a beginning and at some time with an end. Unless you are writing a training manual for a machine, I suggest that you employ some help from the resources of your own subconscious and in addition from your formal school training. Why? A) If you simply use the formal school training, it can have a supurb outline, all in order and end succinctly. B) If you only listen to the urges of your subconscious, there may tend to be a flow onlly you know. You don’t want your book to be like the child that only the mother could love! By the way, I have written a book, not a training manual either (I have written many procedures). One of the best things that happened for me to get the book started and get the book writing format was a message I would say was from my subsciousness. It was the final motivator to set the ship asail. Get ready to type or write. Take a few deep breaths and start thinking and feeling what you have to say. As you get the sense of concentration, write the first thing that comes to your mind – just write it. Then take another deep breath and write the next. Do this several times until you are starting to gain confidence that you – yes you, can put those inner pangs of desire and experience, your book into written form. Now, after you have gotten into your subject and the feel of your reason to share this, take time to play with the order you could offer this to the world. 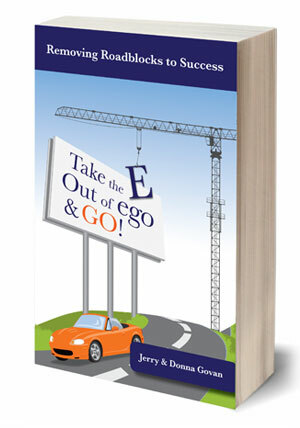 Set a goal date when you will be selling your book. Make it something which is public so that you wil need to reach it. Here is an example: We wanted to have our book ready to sell at a November retreat we attended every year and have a table with book sales. That motivated us to be ready! And we were. You have something important to say or you would never be driven to keep thinking and drea,omg to get a book writing format that puts you on your own map! so do it, now! 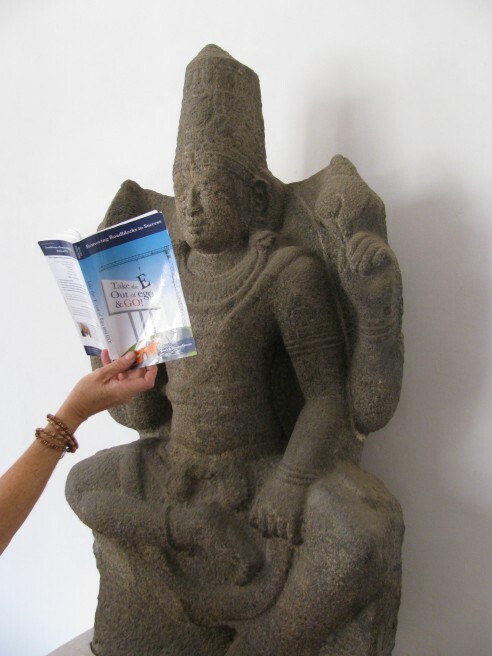 Our book went around the world, that’s it above at the New Dehli Museum in India!